Metallica are sharing professional video of their 2016 single, “Atlas, Rise!”, as performed during their North American tour launch at M&T Bank Stadium in Baltimore, MD on May 10. 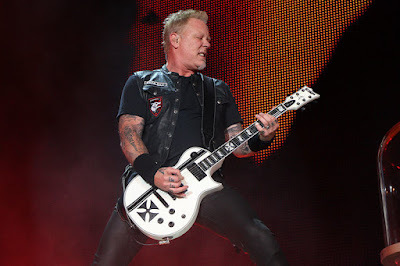 The second single from “Hardwired…To Self-Destruct” topped the US Billboard Mainstream Rock chart upon its release last fall as the band were playing warm-up dates for the WorldWired tour in South America. The North American trek marks Metallica’s first run across the continent in eight years; the group are joined by guests Avenged Sevenfold and Volbeat, with Gojira on board for select dates. Ahead of opening night, Metallica streamed their final rehearsal before about 300 MetClub fan members via Facebook Live from M&T Bank Stadium in Baltimore, MD on May 9. Metallica will play dates this week in Uniondale, NY, Boston, MA and Columbus, OH.